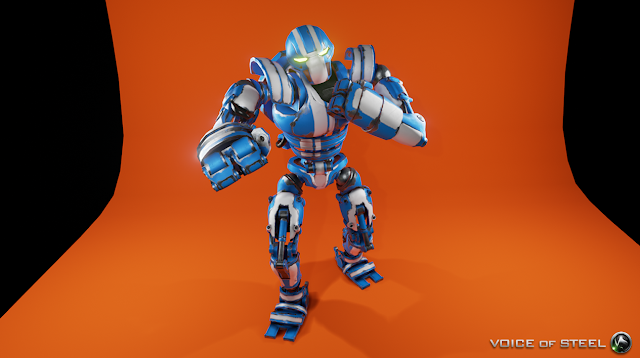 Point Cloud Studio have announced that their robot fighter, 'Voice of Steel', will be coming to consoles in 2016. The game allows players to build their own fighter robot, create their own unique movesets, and pit their creations against other player’s robots online. 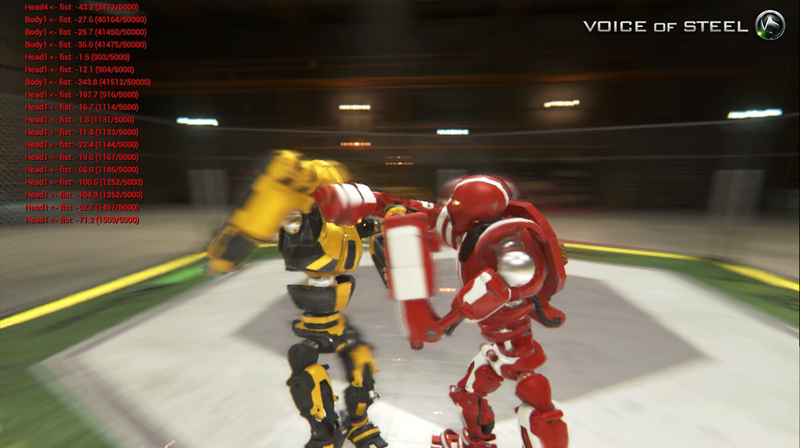 Voice of Steel runs on a physics engine that determines everything from the characteristics of your robot’s different parts to the effectiveness of its moves. 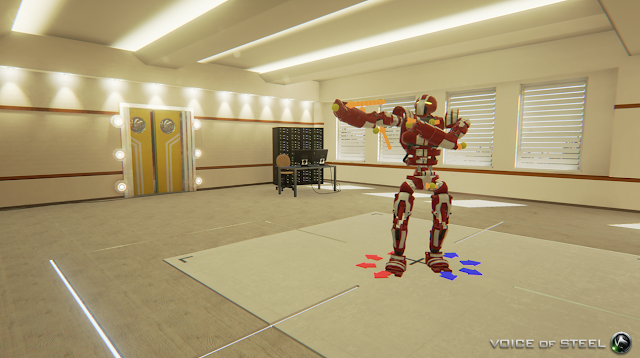 Players can create custom robots that are completely unique by not only building them from scratch with 16 different modules, but also creating their own fighting styles. The force and impact of punches and blows are determined based on mass and velocity, so throwing your patented “Frog Punch” at the right time and angle might just win you the match! 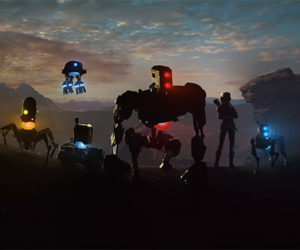 The game will support traditional keyboard and gamepad controls as well as voice control, allowing players to execute that special move without having to input an unnecessarily long string of commands. Point Cloud studio has developed a unique physics engine which allows you to animate your custom robot and create movements and strikes for them. 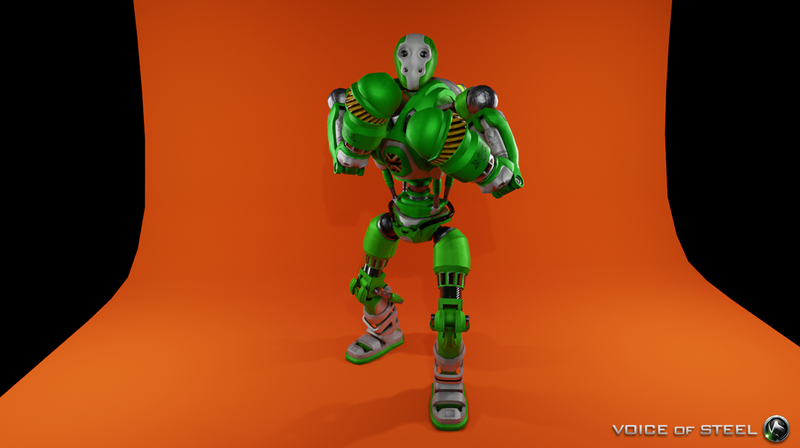 The skeleton of the robot has more than 2000 connections; it is simulating rigid structures, joints, tendons and muscles. No ragdolls! Since the engine takes into account the mass and the velocity of each collider from head to heel, a properly delivered blow can mean the difference between a victory and a loss. Each robot consists of 16 modules with varying characteristics. This allows for over 100 thousand unique combinations before you’ve given your robot a lick of paint. The engine allows you to create any movement or punch you can imagine and use it in a fight. 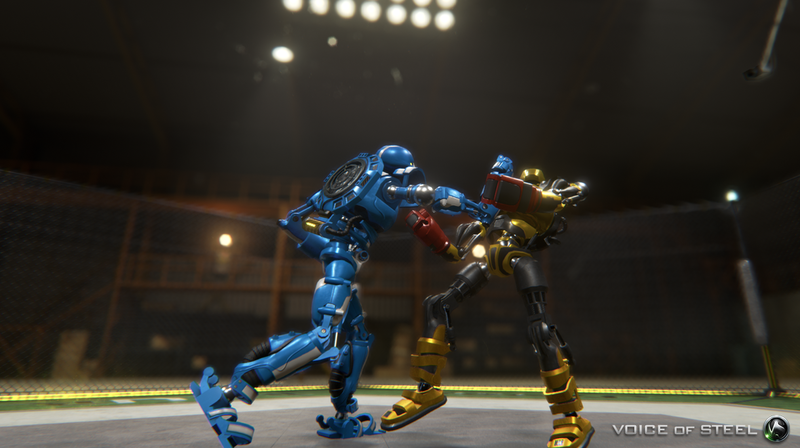 This gives you the opportunity to create a fighting bot with a truly unique fighting style. After all, your "Frog Punch" or "Double Punch To The Head" at a special angle can give a great advantage when your opponent least expects it. 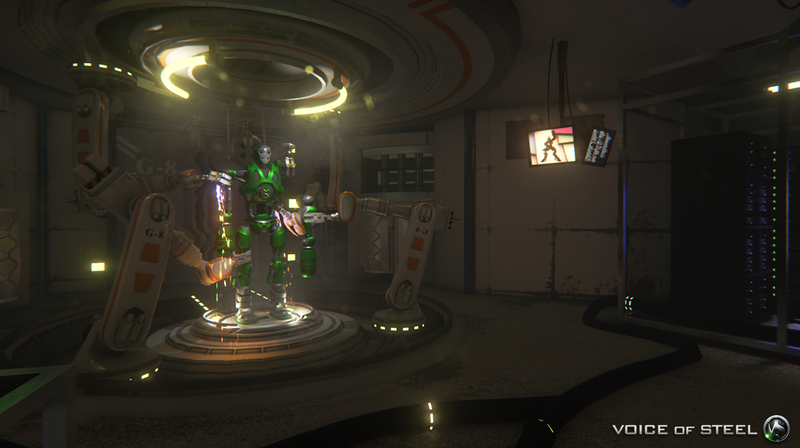 The game has a traditional keyboard and gamepad control scheme, as well as a unique voice control system which will allow you to manage your fighter by voice. After all, remembering and saying the name of the blow you came up with yourself is a lot easier than remembering a complicated string of button inputs.